Compatible with iOS 11 and 12. 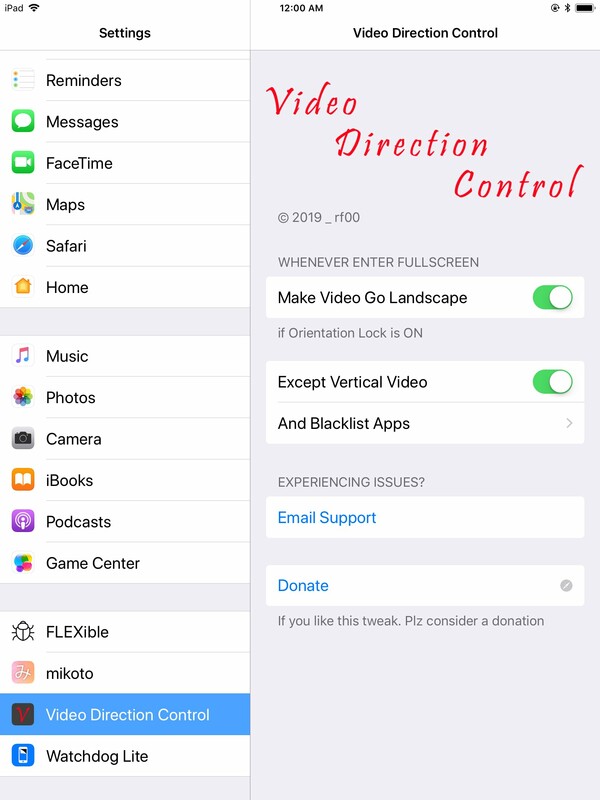 This tweak make native fullscreen video go landscape when orientation lock is ON, it should be very easy to use. However, this tweak only support iOS11. Fix a bug that caused status bar go white. Support Youtube App For iPad.